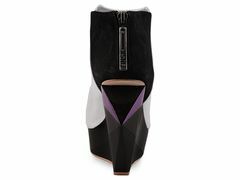 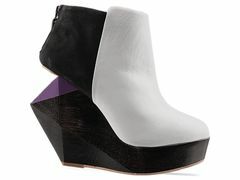 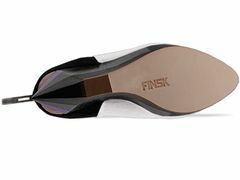 This Finsk (252-98, $535) Architectural Wedge may not be a new style by the mind-blowing newcomer, but it's prismatic cut-out wedge heel, mod couture color blocking, and the bold color combo of white, black and purple make it the shoe of the day. 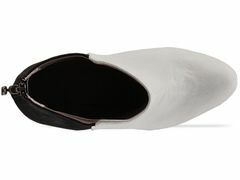 This is the newest colorway at Solestruck and it can be found here. 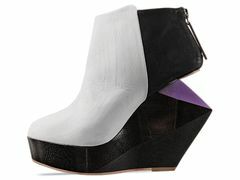 Keep stepping up your style, especially in this ultra-modern must-have wedge.